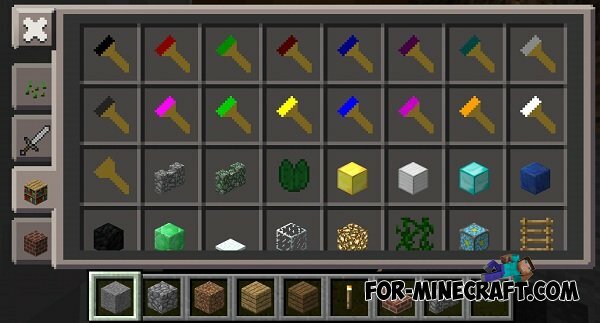 AgameR Paint Mod - unique mod, adds a brush that will paint the blocks! It's very cool, mod has many different types of brushes and with them you decorate your house. Hoverboard mod for Minecraft PE 0.10.5The mod adds a special board - Hoverboard where you can fly! Vertical Slabs mod for Minecraft PE 0.10.5The mod adds a unusual plates - Vertical. Many people do not have enough to build a house what some blocks that will decorate a house. This mod will fix the problem by adding a new vertical slab.